As excitement mounts for the eighth edition of Cape Town Electronic Music Festival at the Castle of Good Hope on February 9th, the festival announces three unique satellite events at three of the cities favourite venues. Kicking off on the famous First Thursday, CTEMF heads to The Waiting Room, where DJ Low joins Rosie Parade, Andrew The DJ and revered record collector Paul Waxon for a night of eclectic grooves on wax. Friday night sees Sheitan Brothers, Elleven and Ryan Sullivan hold it down in the dungeon at Modular, while Till Von Sein, Pierre Johnson, Syzo, Candice Heyns and Dean Fuel take care of business at Reset—all this before the main event on Saturday. Tickets available here. 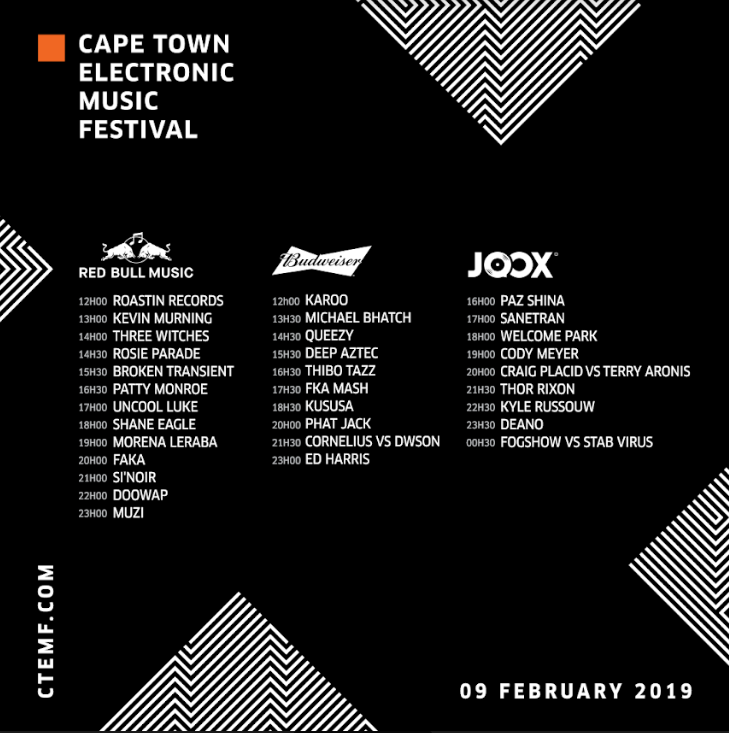 Visit the CTEMF page for more information. The annual festival kicks off this week with artists from a variety of mediums. CTEMF dig deep to showcase local talent at this year’s festival.